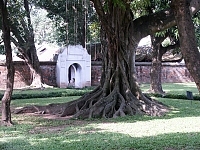 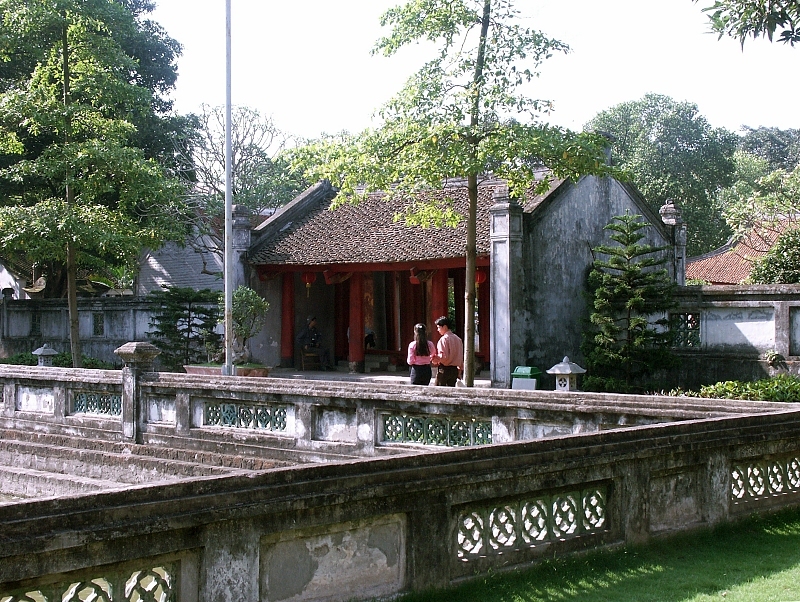 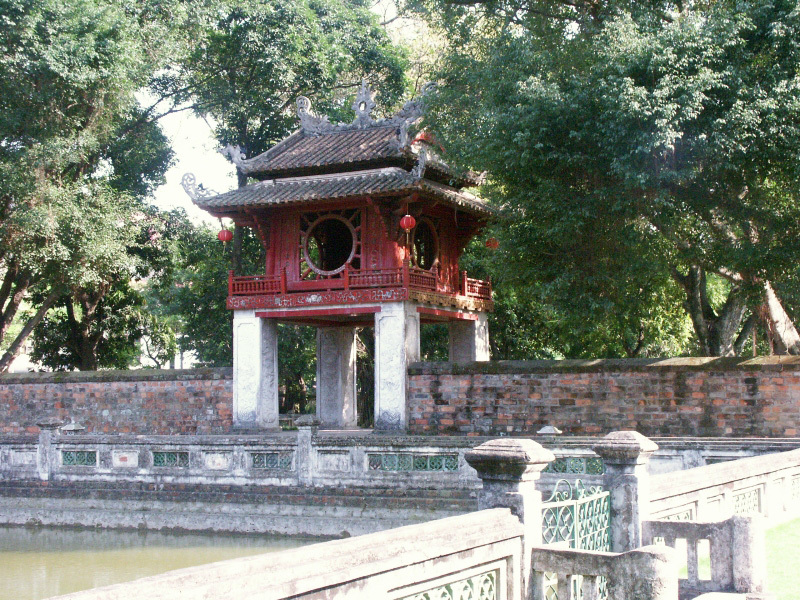 The Temple of Literature ( Van Mieu ), dedicated to Confucius, was founded in 1070 by Emperor Ly Thanh Tong. 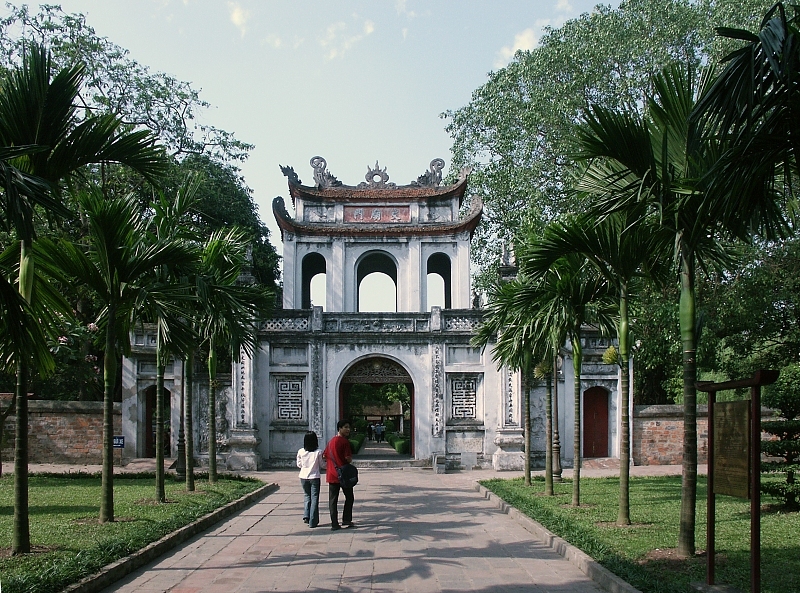 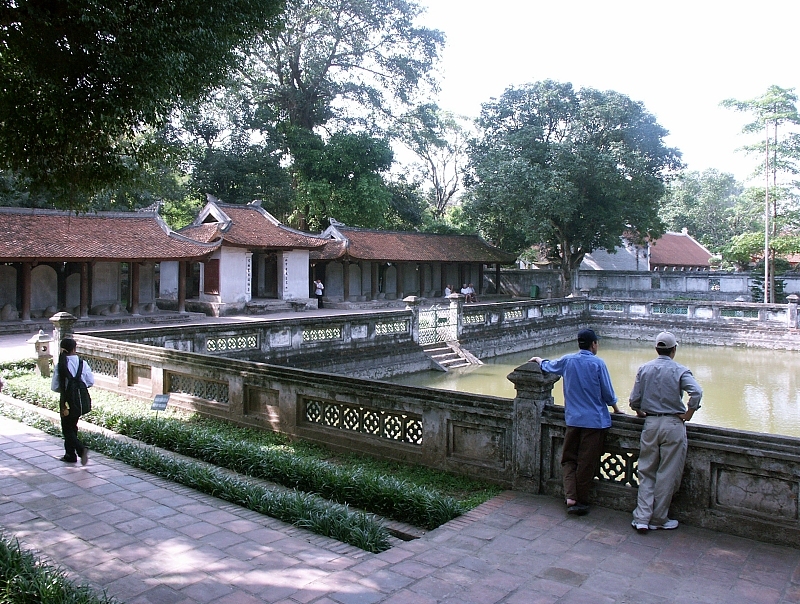 In 1076, Vietnam's first university was established here to educate Vietnam's administrative and warriors class. 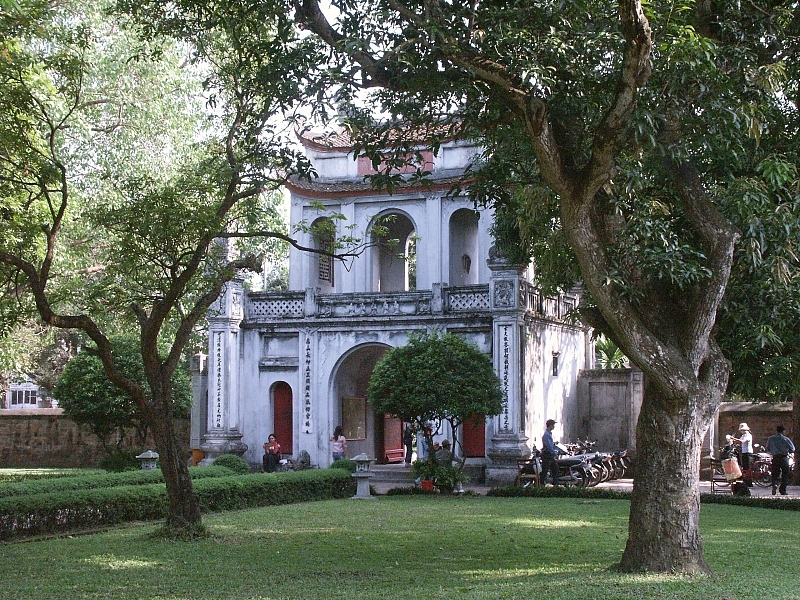 Parts of the university date from this earlier time period although the large complex has undergone many changes over the centuries. 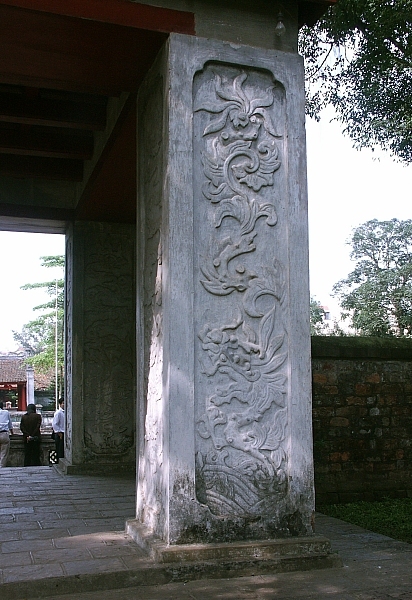 But recent archaeological study indicates that the architecture of this site belongs primarily to the Ly (1010-1225) and Tran (1225-1400) Dynasties. 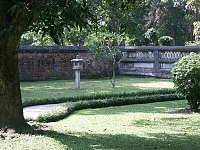 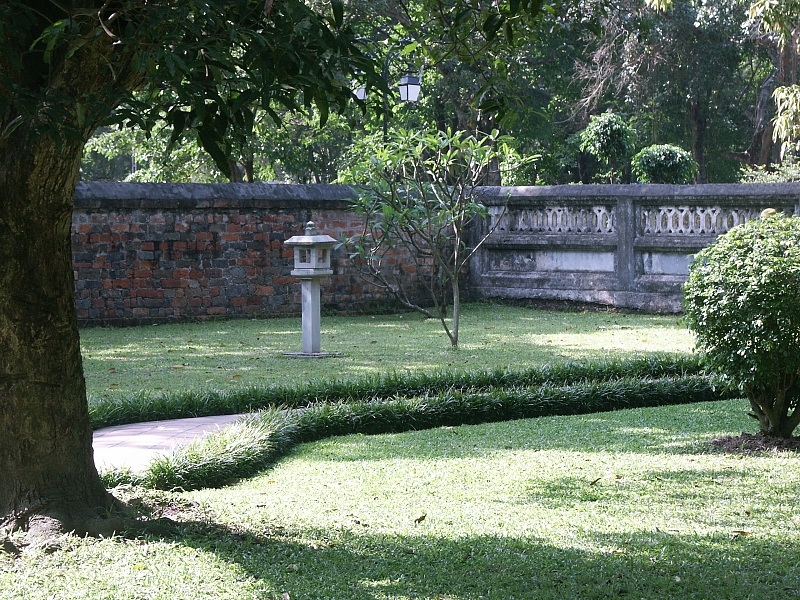 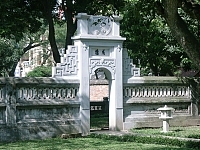 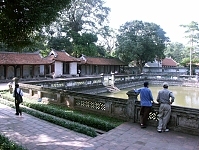 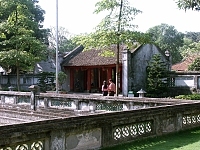 The complex is in a tranquil park-like site in the heart of central Hanoi. 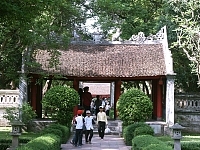 The progression is essentially axial from the entrance gate to the central temple sanctuary (page 3). 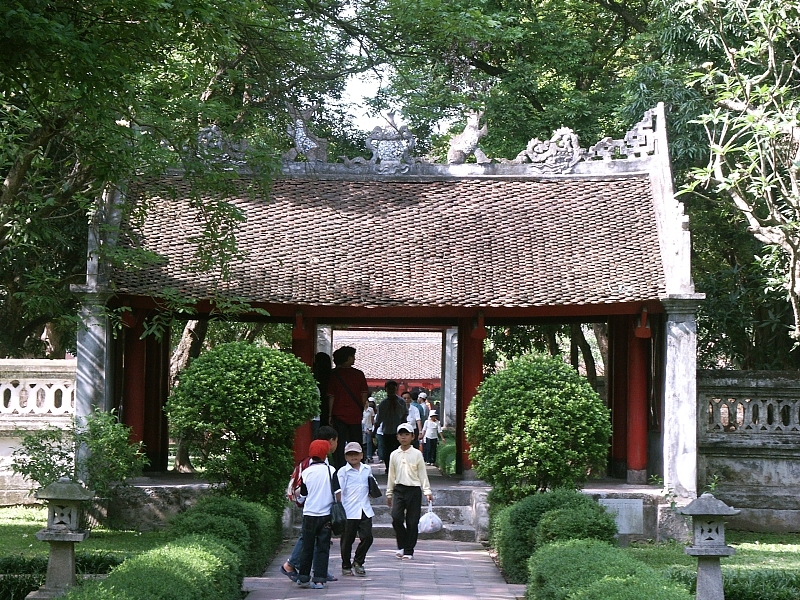 Royalty entered through the main gate whereas students used the side passageways between the courtyards. 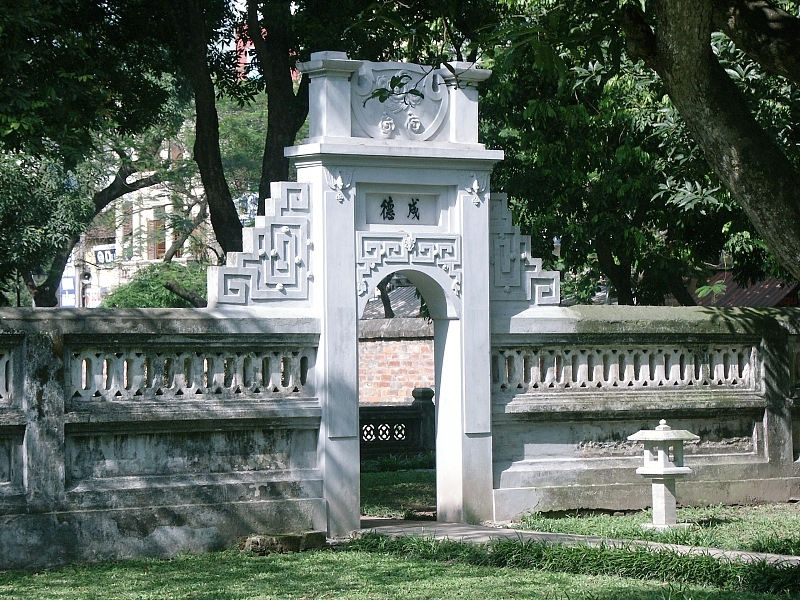 Presumably study pavilions were once here. 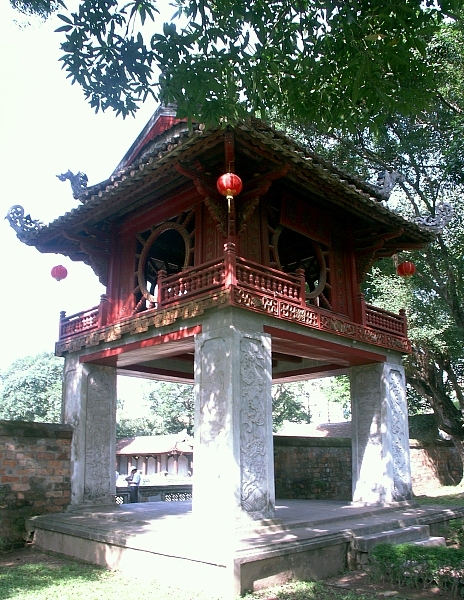 These open pavilions provided space for study and leisure. 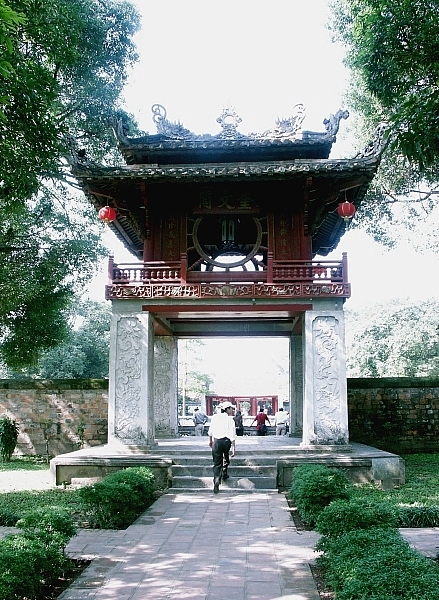 Click here to go to the Vietnam Index.